Ford, Huayou Cobalt, IBM, LG Chem and RCS Global are beginning to use blockchain technology to trace and validate ethically sourced minerals, reports Mining Review (Jan. 16, 2019). The group, which includes participants at each major stage of the supply chain from mine to end-user, will begin with cobalt in exploring an open, industrywide blockchain platform that could ultimately be used to trace and validate a range of minerals used in consumer products. Cobalt is in high demand for its use in lithium-ion batteries, which power a wide range of products such as laptops, mobile devices and electric vehicles. By 2026, demand is expected to multiply eightfold. The typical electric car battery requires up to 20 pounds of cobalt and a laptop requires an ounce of the mineral. Cobalt produced at Huayou’s industrial mine site in the Democratic Republic of Congo will be traced through the supply chain as it travels from mine and smelter to LG Chem’s cathode plant and battery plant in South Korea, and finally into a Ford plant in the U.S. An audit trail will be created on the blockchain, which will include data to provide evidence of the cobalt production from mine to end manufacturer. An important objective is to help increase transparency in small-scale mining and enable these operators to sell their raw materials in the global market, while they meet their internationally ratified responsibility requirements. Built on the IBM Blockchain Platform, the platform is designed to be adopted across industry and to allow parties of all sizes and roles in the supply chain easy access, including manufacturers across the automotive, electronics, aerospace and defense industries and their supply chain partners such as mining companies and battery manufacturers. 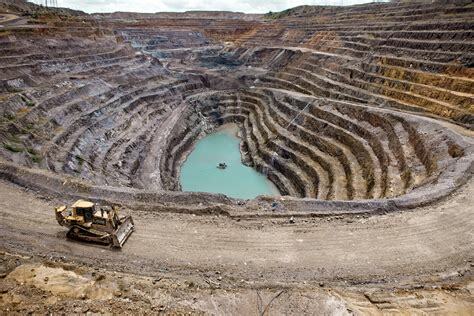 Work is expected to be extended beyond cobalt into other battery metals and raw materials, including minerals such as tantalum, tin, tungsten and gold, which are sometimes called conflict minerals, as well as rare earths. Why is blockchain an important OM tool? What other products are experimenting with or using blockchain?